ON SALE! CBD Vape (E-Liquid) created with whole plant extract for a smoother finish. The Amma Life CBD Vape Liquid, is created with a superior 75% cannabinoid extract. In addition to the CBD, the liquid contains active terpenes and cannabinoids that deliver a smooth finish. 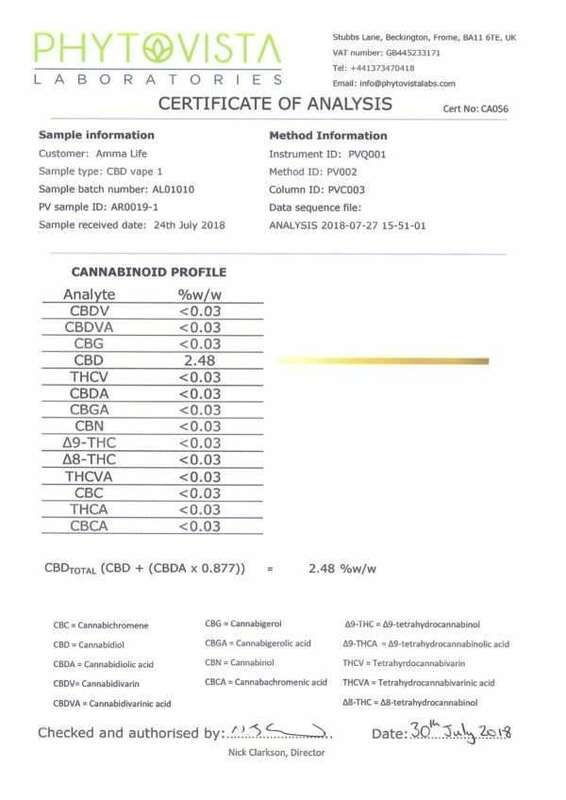 As this is not made from CBD isolate, no flavourings are required. This vape liquid can be used with an E Cigarette 40W Starter Kit, Top Refill 0.3ohm Sub Ohm Atomizer 2ml Tank, Rechargeable 2000mAh vape pen kit. These vape pen kits are suitable for Amma Life CBD e-liquids. 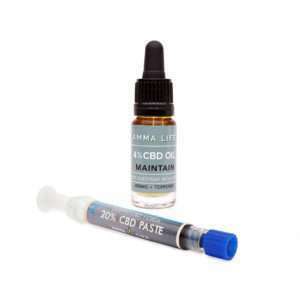 Seeking a great quality CBD supplement is about much more than the content of CBD. 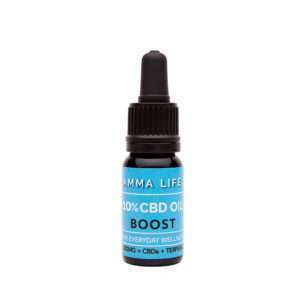 At Amma Life we are passionate about the use of whole plant extracts in our products. There are 100’s of compounds found in the natural plant, which includes a spectrum of cannabinoids and terpenes in trace elements. The ‘whole plant extract’ allows you to get all of its hemp goodness! Experience the entourage effect with our exclusive CBD e-liquids. The entourage effect – the synergy between all the cannabinoids, terpenes and flavonoids in the plant which work together like an orchestra, each one supporting and complementing each other. Looking for a stronger vape product? Try our CBD Vape 500mg. Ready to vape, or can mix 1 pipette full of CBD e-Liquid with your preferred e-juice. Storage: Store in a cool place away from direct sunlight. Keep away from children. Intended for adult use only. 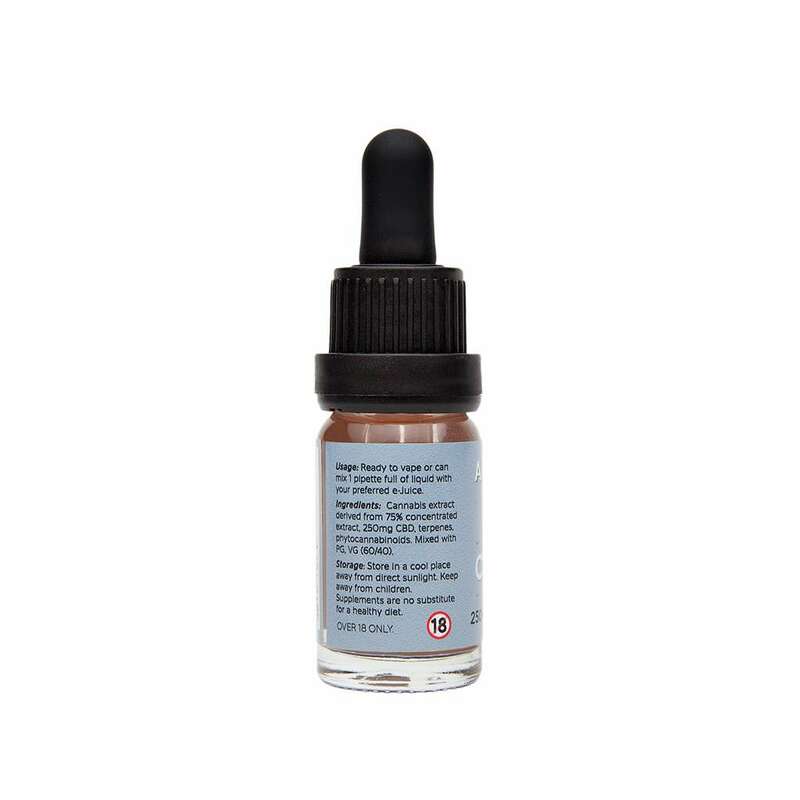 Use within 6 months of opening..
Due to restrictions placed by the Medicines and Healthcare products Regulatory Agency (MHRA) we cannot display our product reviews. TrustPilot is an independent site and we have no control of their content.